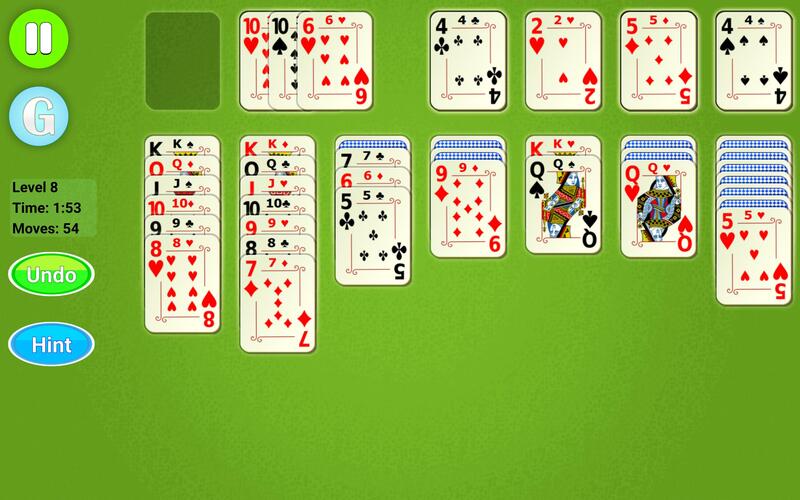 This is one of the best known Solitaire games. 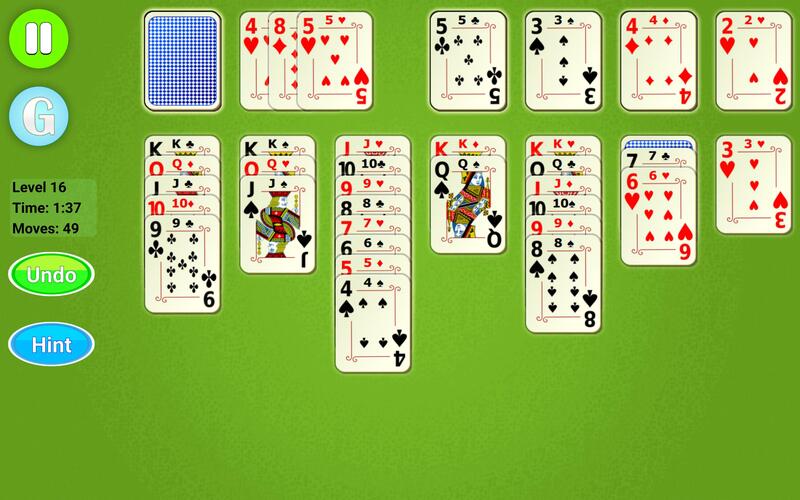 Solitaire Epic is a classic game of Klondike Solitaire that comes with a challenge. It has 2500 levels you can win. Play this game 10 minutes per day and you will still need 2+ years to complete all levels. Compete with people around the world and be the first to complete all 2500 levels. Ready for this epic challenge? Start playing now! ♠ Hundreds of hours of relaxing fun, easy to play and more challenging as you advance through the levels! 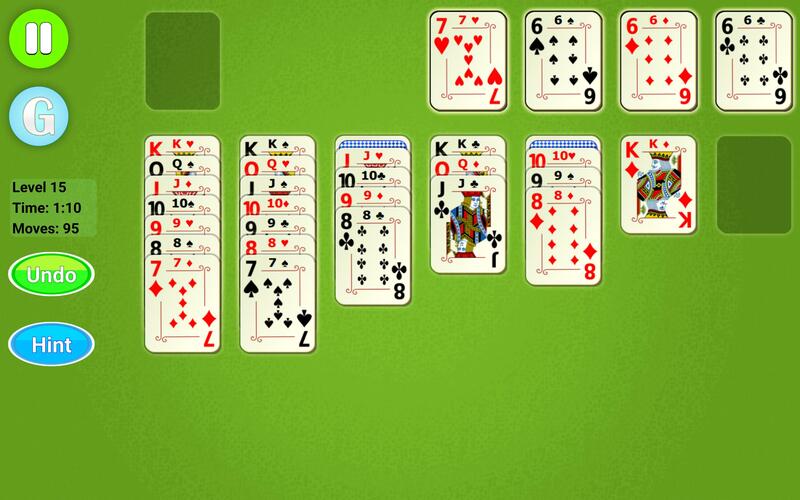 ♣ In this game you have to create 4 stacks of cards of the same suit in each of the foundation piles from the top of the screen. Each of the foundation piles must start with an ace and end with a king. 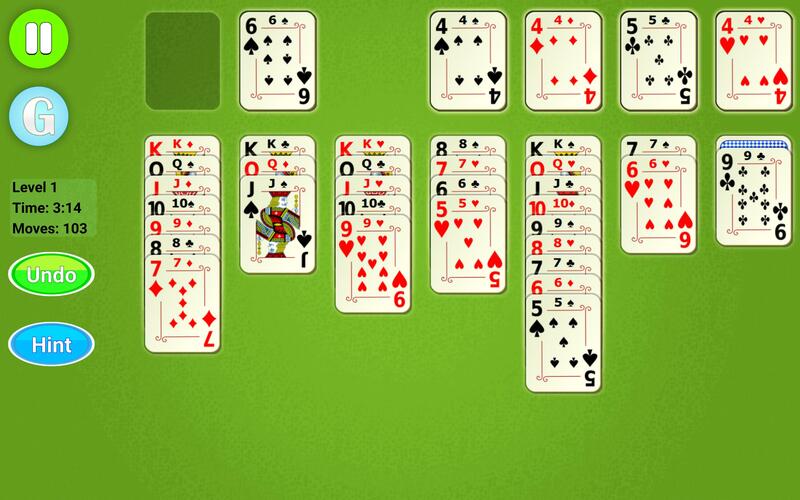 ♣ The cards from the 7 columns can be placed in descending order by alternating between red (hearts and diamonds) and black (spades and clubs). 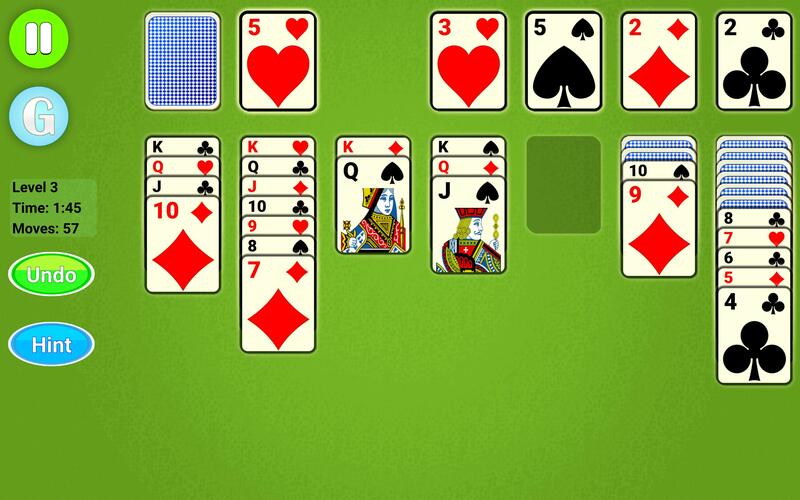 For example, you can place a 5 of hearts on a 6 of spades. 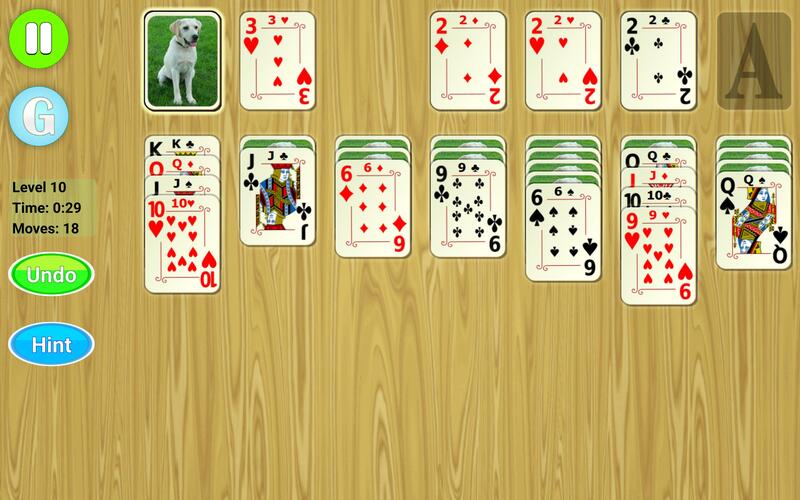 ♣ You are allowed to move runs of cards between columns. 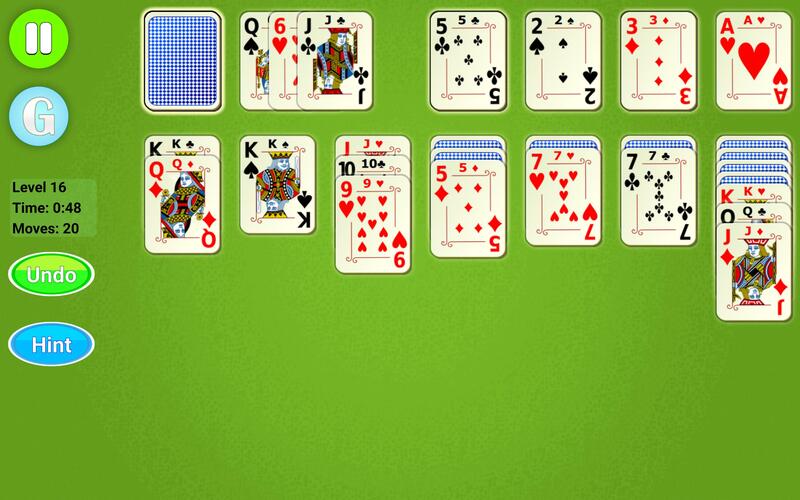 A run is a set of cards with numbers in a descending order and alternating colors. ♣ If you ever get empty columns you can place a king or any run starting with a king. ♣ When you run out of useful moves you can continue by tapping on the deck at the top left of the screen. 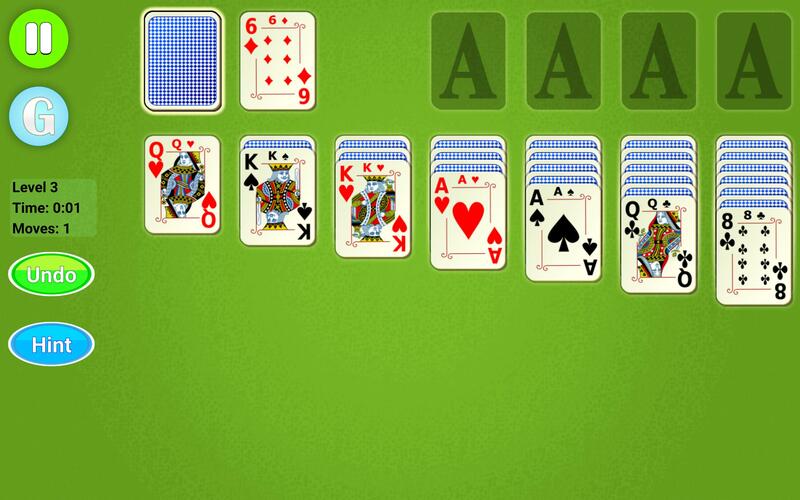 You will draw 1 card or 3 cards depending on the type of the level. If there are no more cards in the deck tap on its outline to draw more cards from the beginning. ♣ You should try to expose more and more cards as quickly as possible. Important cards might be buried under other cards. ♣ You start with levels in which you draw 1 card. But as you progress the levels will become more challenging and you will get more and more levels in which you draw 3 cards.